Thus it has been ever since: bees are judged not by their intrinsic worth, nor by reference to their role in wider nature, but solely with reference to their utility to man. The needs of the bee are subjugated to the needs of man. Two hundred and fifty years after these words were written, just when the Victorians had outlawed the making of men into slaves for other men, allowing slaves to throw off their shackles, a clergyman named Lorenzo Langstroth invented a new shackle for the bee: the so-called moveable frame hive. 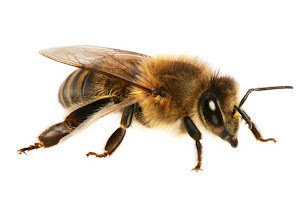 Thus came about a perversion perpetrated on the bee that has been visited upon no other animal: the very body of the creature, the comb and internal organs of the Bee are henceforth to be constructed in the equivalent of a set of files in a filing cabinet, with each file capable of being withdrawn by the beekeeper at will . The Bee thus becomes an animal dissectible at will, the equivalent of making the heart, lungs, uterus and so forth of a dog removable, and examinable, at the whim of the owner rather than only under dire veterinary need. 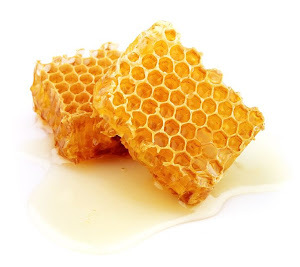 To continue the same line of thought, the comb that makes up the internal structure of a bee hive is made of wax, secreted from the bodies of the bees themselves. The wax is shaped into cells, of varying sizes according to the needs of the Bee. (By ‘Bee’ -with a capital ‘B’- is meant the colony as a whole, made up of individuals bees, bee brood, waxen combs and so forth.) In Victorian times, a decision was made that the variation one sees in natural comb was a waste of energy, and wax was moulded artificially into uniform patterns to ‘encourage’ the Bee to dispense with this essential variability in its internal structure. All in the name of efficiency. In recent years, plastic has been substituted for the wax; entire combs are nowadays made of plastic! After all, why should the Bee make its innards from its own natural secretions when artificial materials can be used. Never mind that the comb forms the actual internal organs of the Bee. Anyone for a plastic heart, or a plastic uterus? But man’s perversion of the Bee life form does not end there. We now see the invention of plastic combs that have embedded within them little rotating cams, such that, at the turn of a handle, the comb separates and out pours the honey. This invention is termed the Flow Hive and is the current rage of internet bee discussion forums. 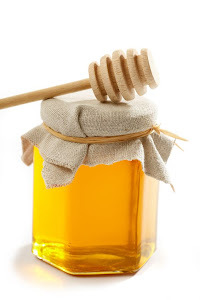 The argument goes that honey can be harvested with minimal disturbance to the hive. Setting aside questions of whether the hive will work in practice (for example: how long before the bees gum the intricate mechanism solid with propolis), what effect will this invention have on the Bee organism as a whole? The combs are, after all, an integral part of the Bee, properly created by the individual bees from their own wax. If for those combs we substitute plastic in which we embed the equivalent of a food grinder, that opens up the combs and allows their contents to ooze forth, what is the effect on the Bee? Intensive animal farming has invented many contraptions in the name of efficiency, battery chicken cages come immediately to mind, but there are many others. What stands out about all of these inventions is that they fail completely to see or respect the animal concerned. Instead, the poor creature is seen as being no more than a machine, an unfeeling, mechanical contraption, there solely for the production of a foodstuff at the lowest possible economic cost. The cost to the animal counts for nothing, but cost there is, paid in silence. It is well past time that we, as farmers and consumers, realised that animals will only thrive and remain healthy when they are allowed to be fully themselves. How, for example, can a battery chicken be fully itself when it is prevented even from moving by the extreme confines of a battery cage? We treat animals like this when we see nature in terms of separate elements that can be manipulated like pieces of machinery rather than as a complex whole, where all the parts matter, big and small. As such, we miss the essential interconnectedness that exists between the elements and the whole and, in consequence, we cause great and unwitting harm. The Flow Hive is a prime example of seeing nature in a mechanistic manner, treating the Bee as a machine to be manipulated and adjusted at will. Thus, instead of thinking of the entire hive as a complex organism, one that includes the comb as an essential functioning part, the inventors see only a box of insects that can be manipulated to suit their desire for profit and efficiency. Their invention inserts machinery into the whole, into the body of the Bee to create a chimera, a hybrid. But, unlike the Greek myth, this is not a hybrid of two naturally occurring creatures, this hybrid is part natural, part mechanical, something literally monstrous, a cyborg. That the inventors think of a hive as a box of insects, of individual bees to be manipulated for ease of robbing is one thing. That they pose with organic gardening magazines in their PR materials about the hive suggests they care about the earth. However, that they clearly aim at the burgeoning ‘bee-friendly market’ by suggesting that the hive promises less disturbance of the Bee, seems, to those who see the whole organism, to be a deceit. Yet, they look like nice chaps; no doubt they are. The detachment of the intellect from the heart is not a condition unique to them. It is the disease of our time, and there is no easy cure for such maladjustment. What weighs heavily is this: a new invention in the world of beekeeping has caught the imagination of beekeepers, the public and the media in a veritable frenzy. The frenzy of easy returns, of greed. Even beekeepers of holistic repute either endorse the hive or sit on the fence, for now. This spells moral disaster, a total breakdown in our relationship with the Bee. Do we, collectively, really have no concept that the creature in our care is a complex organism that consists of the whole contents of the hive? Have we forgotten our indebtedness to this exemplary form of life, so intimately connected with our own lives, our sustenance? The modern boxes we provide for bees have nothing to do with the needs of the Bee; they are simply the product of our materialistic way of thinking. Our goal is rationality and profit, and this has become a global problem of our times. We often fail to realize what we are actually doing when we wrongly apply our atomistic way of thinking to certain areas and, in so doing, misappropriate them. We must change our way of thinking; we must view life holistically and not interpret it as simply the sum of its constituent parts, added together without any heed for the interdependencies and properties that come with complexity. Having done so, we, comprehending, will once more be able to revere life in all its manifestations, and this will include reverence for the Bee. If the Bee is to recover from the onslaughts of our devilish inventiveness since the dawn of materialism, we need to help it find its way into the collective heart and mind of all humanity. We need to work together as one heart and one mind. We need to stay focussed. We need to aspire to love for the Bee and express this love, together with our understanding, in all we do. It makes us sad therefore to see, by the responses of millions of people to the Flow Hive, that the Bee in its wholeness and beneficence exists neither in their minds nor in their hearts. It is dead to them. If beekeeping continues along these lines, if it fails to truly see the whole, the Bee will, in the not too distant future, be dead to us all. Please read it and consider. The Perm-apiculture group formed in January 2011 as a sub-group of Permaculture Victoria (PcV). We're a keen bunch of people based in Victoria (Australia) who are interested in beekeeping with a permaculture perspective. That is; bee-friendly, on a small scale and in a sustainable manner. We have members ranging in experience from just starting out to people who have been enthusiastically keeping bees for many years. We're keen to swap ideas, learn from each other and to promote Natural Beekeeping. For beekeeping to be sustainable, it must be to the benefit of bees and beekeepers. In the light of reports of colony losses, the spread of pathogens and predators, and the eradication of local races of bees, we need to question whether our beekeeping practices are benefitting bees. Bees know best what is good for them and that our job is to listen, to watch and to follow their lead. We also meet monthly, please refer to our Events page. The Perm-apiculture group is a special interest subgroup of Permaculture Melbourne. Picture Window theme. Powered by Blogger.